I'll likely be hitting up KK again at the end of the month. My sister and brother-in-law want to take advantage of the GOCC deal (two days for $34.99 with free drinks both days) so we're planning a family trip on the 30th and 31st. Glad you enjoyed Knoebels. Definitely not your typical park but the layout with the roads and such reminded me a bit of (New) Conneaut Lake Park (though CLP isn't nearly as big). Unfortunately the only time you'll get night rides on the woodies is during Phoenix Phall Phunfest as they otherwise apparently don't run their woodies after dark. I didn't get to ride Flyers last year as it was down when I was there (or at least when I wanted to ride it), so hopefully I'll get that in this year (along with Over The Top and the sky ride, both of which were also closed last year when I was there). The tweet and article from Local12 aren't there anymore. I wasn't referring to the original tweet. Local12's tweet containing a link to that article has also mysteriously vanished. I wonder if the park asked them to take it down. 1.5 to 2 hours I could do. Still thinking FL+ might be a better option though. @Thrill_Biscuit reported on Facebook that the wait was nearly 4 hours when the park opened this morning. I'm still hoping to be able to ride it next month but I don't want to spend 4 hours waiting in line. @silver2005 I wasn't aware of the hidden charges and there weren't any fire alarms going off while I was there. I do agree that the layout is quite odd though. My guess would be extra loading time. If someone does decide to sit in that row then you have to wait a short time while the guest adjusts the seatbelt to fit them. If that row is empty the next time around, it takes longer for the ride op to pull the belt tight again. I have always wondered why they even have belts on Timbers to begin with since they just tell you they have to be buckled but not tight. For what it's worth when I rode Beast on Monday they did say they would call security on you if they caught you with your phone out. Waldameer is a great park all around. Make sure to do the dark rides (Whacky Shack and Pirate's Cove) in addition to the coasters. They also have a nice selection of classic flats if you have time. 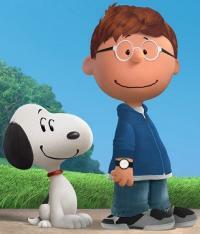 Given the desing of the doghouse I'd guess it belongs to Snoopy's brother Marbles. When I was riding Great Pumpkin Coaster with my niece earlier, a kid in front of us was saying that GPC is a "mini Banshee". I'm staying at the Red Roof Inn near the park and it's the same there too. How many amusement parks (and theme parks) have you visited?